Central heating is a now a necessity rather than a luxury in our everyday lives. A home without a central heating sounds incomplete especially if you live in regions that get affected by severe winter weather. In fact, for the last few years, the winter season seems to be getting increasingly harsh. To make your home a comfortable place during such harsh weather, you need a functional central heating. Eco Efficient specializes in offering central heating installation in Blackpool and other related services. Our engineers have been installing central heating systems for the last few decades. They also offer the best advice to our clients on the best on the perfect option regarding central heating choice and installation depending on the size and layout of your home as well as the amount of money you would like to spend on central heating. It's worth mentioning that improper central heating installation is more than just a cold home. You will be forced to spend a lot of money and also waste energy trying to keep the heat up. You will also spend more money on repairs and in the worst cases, fire disasters can claim property and lives as well. Fortunately, Eco Efficient can help you avoid such mess. Our engineers can help you upgrade your existing central heating to make it more efficient. Besides, they can help reinstall the system in a more effective way. Keep in mind that a complete central heating comprises of many parts. Some of these parts are electrical and must be installed by an expert. Perfect installation is a good way of making sure that your system runs efficiently. If you decide to upgrade your central heating system, keep in mind that the system consists of radiators, boiler, power flushing, and you may also want to switch from oil boilers to gas oilers. 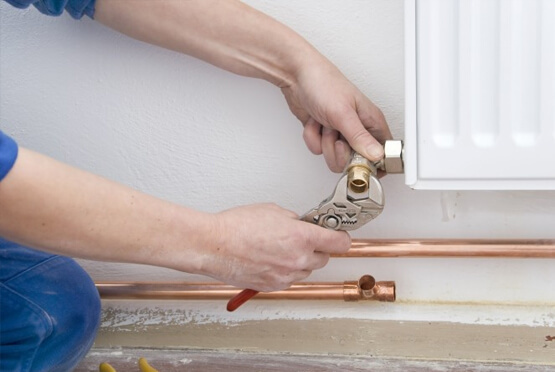 Regardless of what you want to do, whether upgrade the existing central heating or replace it with a new one, our engineers will always be at your service. Choosing Eco Efficient for central heating installation and repair is a perfect choice as you will get a chance to work with professionals. All our engineers are Gas Safe registered. Before they begin installing the central heating system, they will first show you their registration cards as a proof that they are professionally and legally allowed to install central heating systems in the United Kingdom. Besides, these professionals have many years of experience when it comes to installation of central heating systems. Thus, they know what works and what may not work when it comes to installation, repair, and servicing of boilers and central heating systems. Lastly, we charge pocket-friendly prices for our services. However, we never compromise the quality of the services we offer. If you're in Blackpool and you're in need of central heating installation, feel free to contact us.